Dr. Michel has been improving smiles and lives for nearly 40 years now, and his dedication to patients in need has only become stronger over time. Whether you’re seeking advanced tooth replacement or relieving treatment for sleep apnea, he looks forward to welcoming you in soon. Keep reading below to learn more about his background. 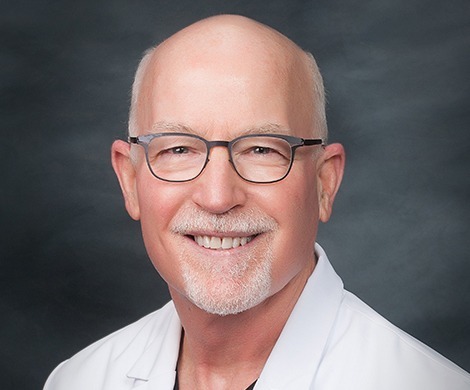 After earning his Bachelor of Science from Kansas State University, Dr. Michel received his Doctor of Dental Surgery from the University of Missouri-Kansas City School of Dentistry. He is a recipient of the Harry M. Klenda Award from the Kansas Dental Association and is a current member of the American Dental Association and the Kansas Dental Association. He’s also the former president of the Topeka District Dental Society and previously earned a fellowship in the American College of Dentists. Because he understands that dentistry is an evolving industry, Dr. Michel values continuing education. Through his studies with Bio Research, he has honed his skills with the non-surgical treatment of temporomandibular joint dysfunction (TMD). He also has experience with dental sleep medicine, Invisalign, and the Nomad imaging system. Additionally, Dr. Michel's dedication to the community has been a part of his professional life for many years. He was an active board member with the United Way and a member of the Historic Ward-Meade Pharmacy/MD & DDS project; he has also regularly helped them with fundraising. He volunteers regularly at the Most Pure Heart of Mary Catholic Church and was the Past President of the Board (as well as a proud Board Member for several years) at Hayden Catholic High School. He was additionally involved as a past Board Member at United Way of Greater Topeka. Dr. Michel and his wife, Jan, have been married since 1979, and they have four grown children. His youngest son Cooper lives in Basalt, CO, while his older son Adam lives in Denver. His two daughters Erin and Libby both live in Dallas, TX. He also has three grandchildren named Anna, Mikey, and Katherine. In his spare time, he enjoys keeping up with fitness and exercise, regularly working with two different trainers, as well as spending times outdoors. He particularly likes to hike the trails at the Governor’s Mansion. He also enjoys attending KU basketball games (his wife went to school there) and football games at his alma mater KSU.